The Village of Virden Town Meeting will be Tuesday, June 12th at 7PM at the Virden Community Center. Please contact us if you have any questions! 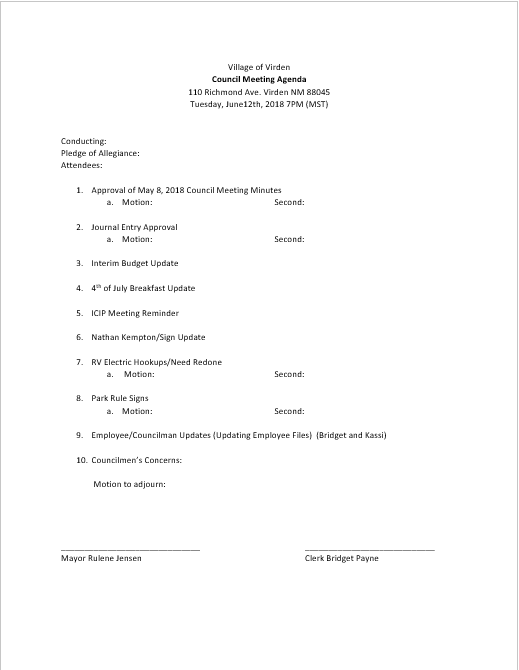 Minutes from the May 8th Town Meeting are available at the Village office if you're interested.